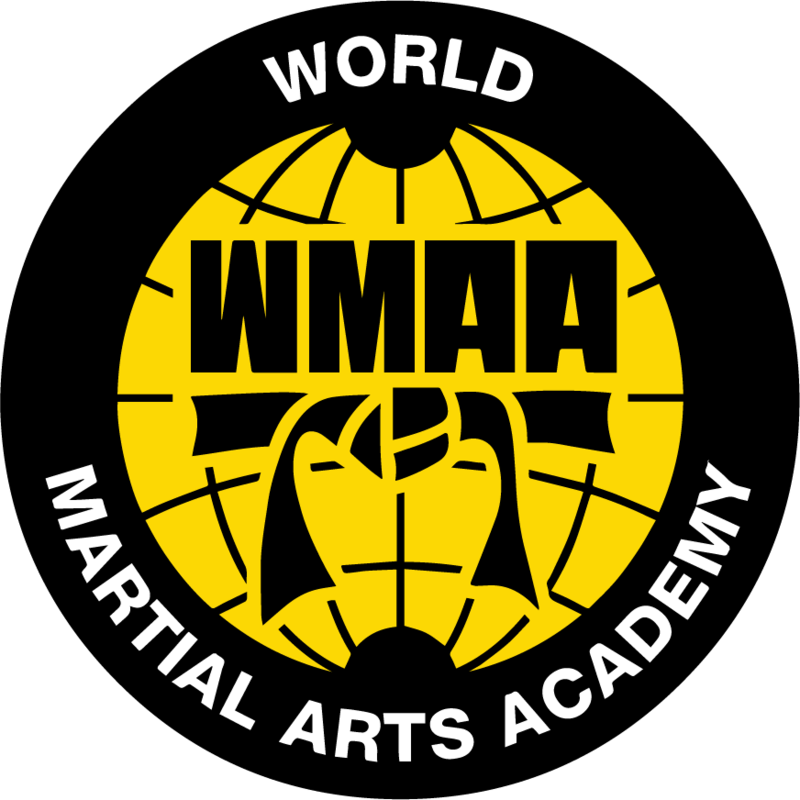 WMAA is committed to providing students with quality Martial Arts training and disciplinary education in an atmosphere that reinforces family values and individual accomplishments. Get 2 Weeks of Lessons for only $20! 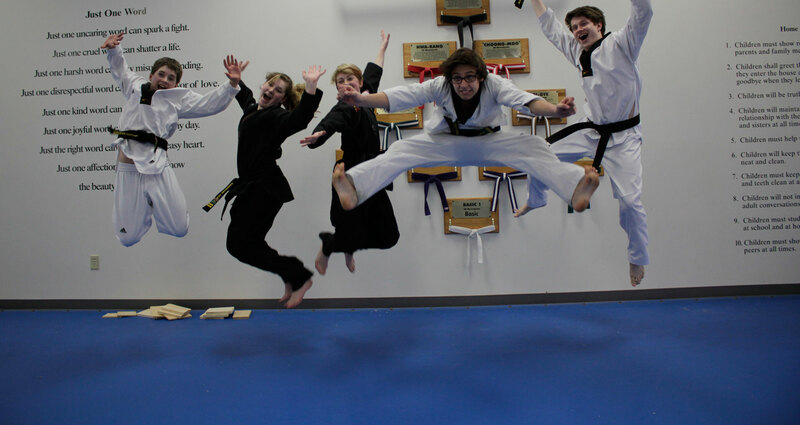 Taekwondo is an excellent aerobic workout, and a fun way to keep your heart healthy and strong. In addition, you will develop flexibility and a strong core, which will positively impact your day-to-day life. Our curriculum is designed not only to strengthen your body, but also your mind. You will find yourself with increased self confidence and resolve, as well as a stronger ability to focus and get things done. Taekwondo is a defensive martial art. You and your family can learn how to appropriately respond to unwanted advances from strangers, and protect yourself in physical altercations. We are so delighted with all that WMAA has to offer. From their professional instructor team to the many additional activities (summer camp, participation in community activities and special activities at WMAA), their focus is on respect for the students and families. They are without questions the finest in the area. 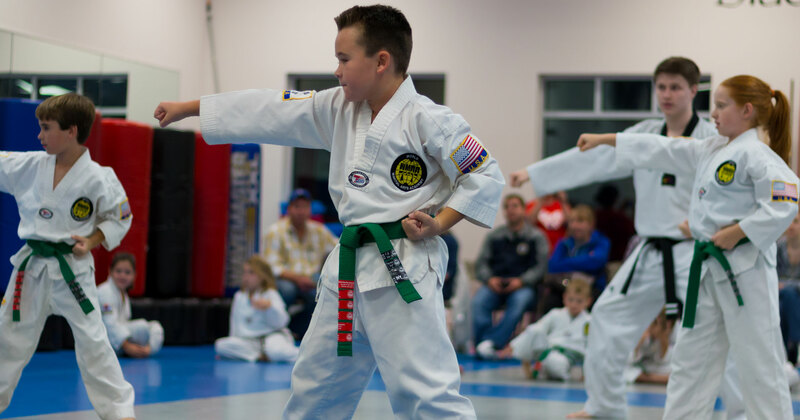 We really appreciate the values that World Martial Arts Academy teaches the students, such as the five tenets (Courtesy, Integrity, Perseverance, Self-Control and Indomitable Spirit), the poem "Just One Word,"and the Children's Home Rules. We love the emphasis on respect and the family atmosphere in the classroom. I have been with this school for eleven wonderful years and as a young woman, the greatest gift they have given me is confidence. The things you learn here go beyond self-defense, they teach you about loving who you are and being a better person. From 3 years old to adult, they strive to make people stronger inside and out. There is no comparison to WMAA. The instructors work very hard with the children in the class. Many have problems focusing and following instructions in everyday life but the instructor make it fun as well as a learning experience. The kids feel good about themselves and want to do more. It helps greatly with respect of others and self discipline. My son has ADHD and enjoys the class very much and is learning how to control himself as well as burn off a lot of extra energy and is learning something that will help him through his entire life. My son and I attend together. Master Yun and the instructors are patient, understanding and talented. Positive environment that encourages kids to do their best and build esteem and confidence. Great exercise and conditioning for me as well as an opportunity to do something together with my son. We practice in large, matted dojangs with the latest equipment for safe and effective instruction. Each of our facilities also offers spacious, clean waiting areas and restrooms for parents and students alike. All of our instructors are hand selected and trained by Grand Master Yun himself. Your instruction will be from well-qualified and knowledgable instructors, guaranteed. We offer classes for all ages starting from preschool all the way up to classes designed for adults and families. 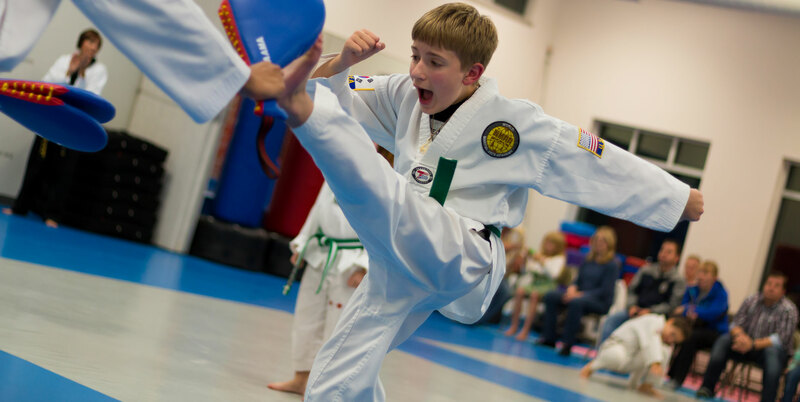 Kid or grandparent, we are eager to bring you into our taekwondo family!